Small detail to correct, @Wurmheart . You said discerning evil is a rank 2 debuff at your first post and, at pardoner analysis, you said it is a buff. Also, how was the Kagura dance test? I’ve been using it at Boruta but didn’t pay attention if it was working on my guildmates outside of the party. Edit: Also, Dekatos uses 300 silver, not 500. Gregorate work with Diev’s statue. But my conclusion is you can’t extend until all extended debuff ended. Extend both Debuff A - Judgement and B - Immolation. B ended first while A still ongoing. Reapply B but can’t extend cause A still ongoing. Once A ended, can repeat step 1. 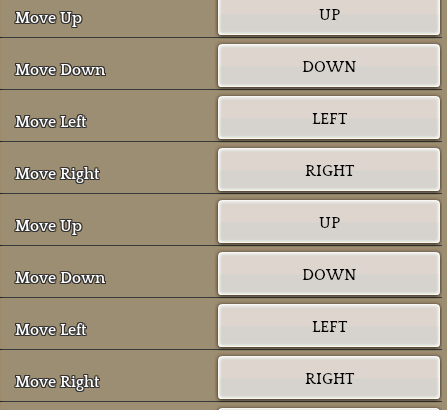 Press the skill key + press and let go off the directional input to target party members. Up is the first member, Left is 2nd, 3rd is down and 4th is right. Somehow my heal did nothing when I press directional and let go. Tried many method but til today still can’t heal other. Any idea? DE is a buff, the list on top wasn’t entirely correct yet. I still need to fix a few things here and there. Will also fix Dekatos silver cost when I get to pardoner fixes in a bit. Thanks. I haven’t run into any issues with heal whatsoever personally so I’m not too sure what’s causing that. I am seeing the directional targets turning brighter yellow, which does indicate that it is registering your directional inputs at least. You are pressing 3 only once right? Because it shouldn’t be healing yourself unless you do so. Pressing 3 once and then press and let go of left should heal the 2nd party member for example. I used to extend mastema for my exo. Got good success with mastema 20 sec normally last longest. Rebuild, judgement would be my indicator before I attemp to extend again. If I just press directional button, my character only pointing to party member and do nothing when I released. I’ll check as mrfioz suggested. Seems the most logical reason because there’s no way I can’t figure out how to heal(I hope). Oracle’s Resetting replaces old loot-set. It does not add loot. Clairvoyance should show you all (I think) drops it gives. If no silver shown = no silver drop. They don’t seem to work on “special” drop like Blessed Shard. They didn’t show up on Clairvoyance + Resetting, and still dropped for me. So, yes. It is a totally useless skill if even on rare (Elite) monsters, it does nothing. Only good thing about it is that it has a really cute line on female Oracles in Japanese setting (don’t understand Korean so can’t comment on that side). Does Last Rites scale from SPR? Ok, now i understand on tos.guru SPR is writtin like MNA and it was confusing me. So LR scales from SPR. I assume LR line same as Sacrament cant crit, but can Aspergillum crit? I wanna make this build, but i’m still not sure. Yep, it scales off spr as well. MNA is just what it is referred to in the code, and tos.guru data-mines those terms. pc = playable character I’d assume. Holy property atk = base value * Spr modifier. Aspergillum and any other skills that inflict a normal physical or magical damage hit can crit, but are rolled separately from the hit that initiates it. Neither effects work if the original (auto) attack is dodged though, but they do ignore block. And skill point wise Last rites isn’t really worth it atm. Aspergillum and Build Capella are far larger dmg boosts, so those take priority even when maxed. And Binatio/Visible talent are also really strong, so much so I’d say max those as well. Though math wise they’re a bit harder to compare. It’s bleeding attribute is calculated separately for each enemy. [Unknown] Said bleeding states “Deals damage equal to 10% of the targets hp ever second. Does not surpass the casters own minimal attack values.” But it does not scale as such. [Bug] Bleeding increases in damage per second somehow. The current Thorn fully affects flying enemies, unlike its previous forms. Its damage could be better, but it is fairly decent even at skill level 1 due to its attribute. Its large number of hits also allow it to trigger on hit effects often, and it has bonus cc. I am not sure if Thorn Bleed is the same as other Bleed skills as I never really played with classes with Bleed. But this is how Thorn-Bleed works. They are approximations, but seems logical. Starting Bleed DoT damage starts at 10% of the first Thorn DoT (not enemy HP). If the first Thorn is a crit, bleed starts at 10% of that number. 1-a. Not sure about the bleed increase rate. Seems pretty random. Maybe have something to do with crits? See second video below. 1-b. Bleed DoT only happens every other Thorn DoT. Bleed starts with second Thorn tick. 1-c. Total of 9 ticks. 2-a. Rod means absolute minimum Max Bleed you can get since Rods usually has no Physical Atk. Tested with no weapon at all and the Returning Savior 30 day weapon Rod. Had same bleed damage. 2-b. Thorn: Enhance has no effect on max DoT bleed. 3-a. Based on my testing, Thorn ticks increases bleed damage. 3-b. To expand on that, it seems there’s a hidden counter containing how many times Thorn DoT ticked. The increased bleed DoT damage will remain between Thorn casts. e.g. First thorn casts with no bleed proc, then second Thorn cast cause bleeding and Bleed DoT already starts mid-way instead of starting at 10% of Thorn dmg. 3-c. This counter(increased bleed dmg) totally remained even after I left the same monster alone for 10+ minutes. 3-d. I am not sure if there’s a limit to the number of times the bleed dmg increases. *I used the Returning Potion thing (+500 ATK/MATK). It does not change raw MinATK (what you see in the F1 window) and it didn’t increase the Max Bleed DoT damage. Weapon buff from Squire increase max Bleed. Lycanthropy does not increase max Bleed DoT, but increases initial Bleed Dot since it’s based on Thorn dmg. Honestly, I’m not sure how I feel about this. But I wish the proc chance was higher. Bleed DoT at max damage (see Phys. Attack). Edit: It seems the embeded streamable video doesn’t have fullscreen option for easier viewing. Copypasta the url instead and fullscreen button should be available on their website. Based on this case alone, Thorn did 16390 against 15799 Bleed (from 10% to 9th ticks only). Dmg increase ranges from 236 to 507. Fake Edit: I totally forgot Lycan has auto-attack bleeding. It does a totally different bleeding (different descriptor). Scratch-Bleeding doesn’t increase in damage. And maybe slower. (1.5 sec ticks vs 1 sec ticks on bleed? too lazy to confirm). Honestly, this seems a little too complex to be a bug. Probably intentional, but with the usual bad IMC description and/or translation. P.S. I was also playing around in Barynwell 87 after doing my solo CM. The Mutt mob resisted Thorn (with the “Resist” word popping up). No DoT, no immobile, no bleed proc. Completely resisted. IDK if it is already mentioned but Gregorate can propagate out of Merkabah. Merkabah 5 is OK-ish if want to take advantage of this interaction. That being said, I am curious if Gregorate can propagate out of Pears of Anguish? Can someone check?